We left Indiana on Thursday night and drove north toward Ontario. Even though I was bracing myself for some crazy customs experience, I didn’t find one. Getting across the border to Ontario was actually a breeze. I guess we don’t look that suspicious! We drove halfway the first day and spent the night in London, Ontario at the TownePlace Suites. Of course, it was FREE because we used one of our free Marriott nights. In case you didn’t know, with the Marriott Rewards Premier credit card, you earn a free Category 1-4 night just for signing up. The hotel we stayed in was a Category 2, but I thought it was pretty nice. 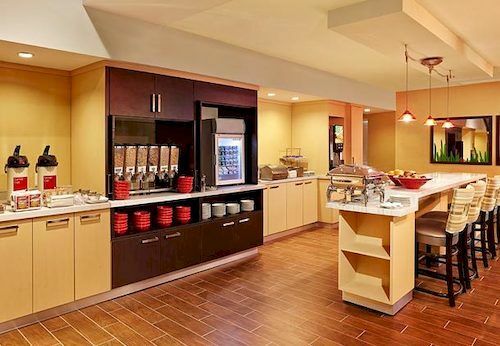 It also offered a free breakfast with omelets, a waffle station, baked goods, cereal, and fruit. And coffee. Lots of coffee. Here’s what the swank breakfast area looked like. Pretty nice considering it was FREE! The next morning, we got up and drove all the way to Brockville, Ontario to see our friends. The first night with our friends, we ate a delicious lasagna dinner, played with the kids, and did a lot of catching up! We were also able to spend the night in our friend’s guest room, which was awesome. Everyone slept great. My kids also went fishing and caught at least 15-20 small fish. It was their first time and they thought it was hilarious. After that, we made dinner and sat around a campfire. There’s nothing better than spending an entire day outdoors. Fortunately, we were able to sleep there too…which was good because there was no way we could drive anywhere! Good news for us – our friends had a fold-out couch and kitchen table that converted to beds in their camper. I don’t camp a lot so I have never seen anything like it. And even though we were on a blow-up bed, it was super comfortable! 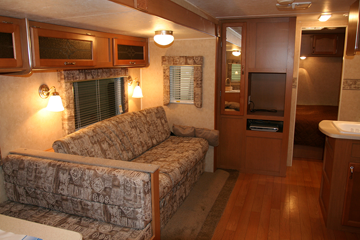 Their camper looked kinda like this one….but the table and couch converted into beds! The next morning, we had breakfast then left for Niagara Falls. 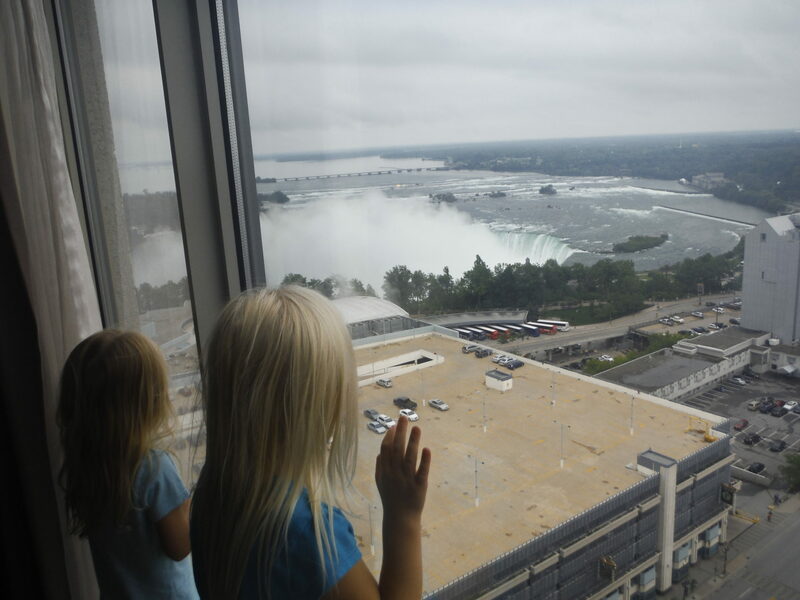 I had a $100 credit to use on my Citi Hilton Reserve Card, so I chose to use it at the Hilton Niagara Falls/Fallsview Hotel, which runs around $149 CAD per night. But when we got there, I was in for a pleasant surprise. Because we belong to the Hilton HHonors program, we were upgraded to a two bedroom suite that slept six. So yea, my kids each had their own bed in an entirely separate room. Since we had been in the car with them for five hours that day, it was nice! My kids had their own bedroom…..
For the most part, everything we did was frugal. The only exception was the dinner we had at Niagara Falls for my daughter’s 4th birthday. We ate at Jimmy Buffet’s Margaritaville and it was just so-so. Either way, we had a great time and would definitely do it all again. But now, it’s time to gear up for our trip to Minnesota, Las Vegas, and California next month. Stay tuned…..
Do you have any cheap trips planned this summer? Have you ever been to Niagara Falls? Did you like it? If you’d like to know how to rack up your own rewards points so you can travel on the cheap, let us help you. Check out our “Free Rewards Advice” page, and get a personalized travel plan for FREE! When we went to Niagara Falls we were really surprised by how cheap stuff was (we stayed far out at the budget/seedy end of town and went to get groceries at the local supermarket). We had a $6.99 breakfast buffet – $4.99 for kids! I thought that was pretty reasonable! Sounds like a fun frugal time! 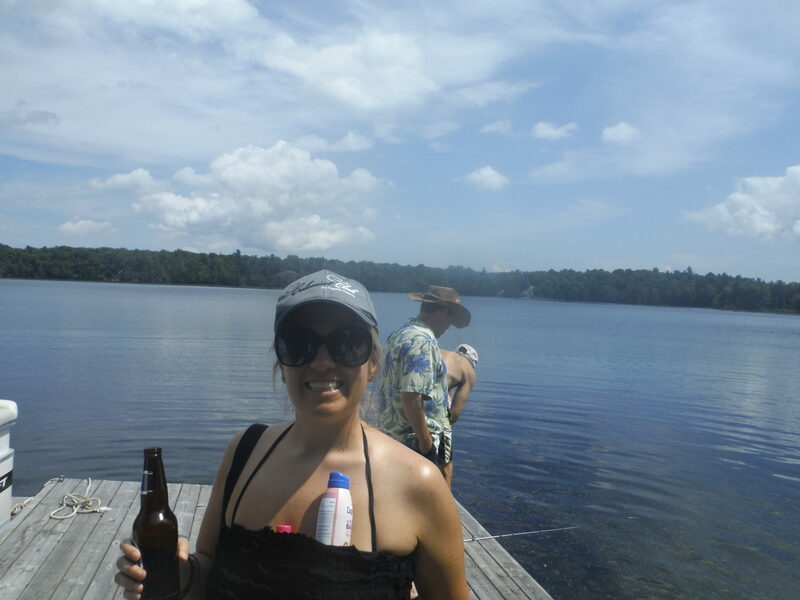 We go to Maine every summer with friends and stay at their family camp. All we need to pay for is gas and food, so it ends up being pretty frugal! Nice! I would love to go to Maine one day. 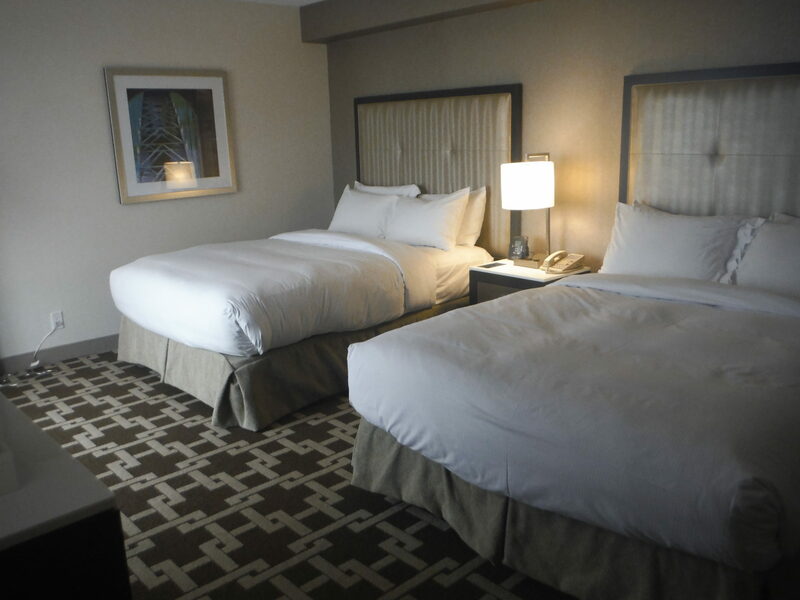 Sounds like you had a wonderful time and ‘yay’ for the upgrade to the suite. Luxury!!! I love that your kids caught a million tiny fish (sunfish by chance?). 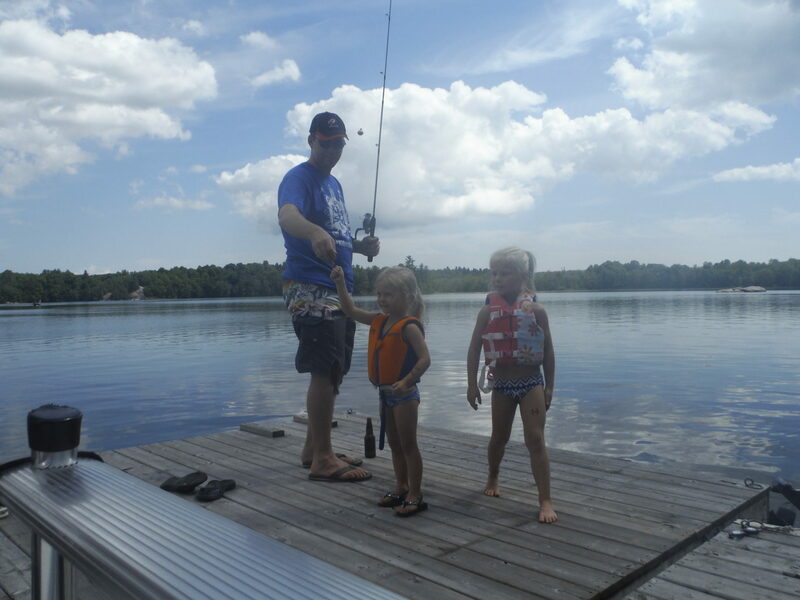 Growing up, we would catch literally hundreds of fish, sometimes with our bare hands, at my grandparents cabin. I hope to give my son a similar experience at some point. 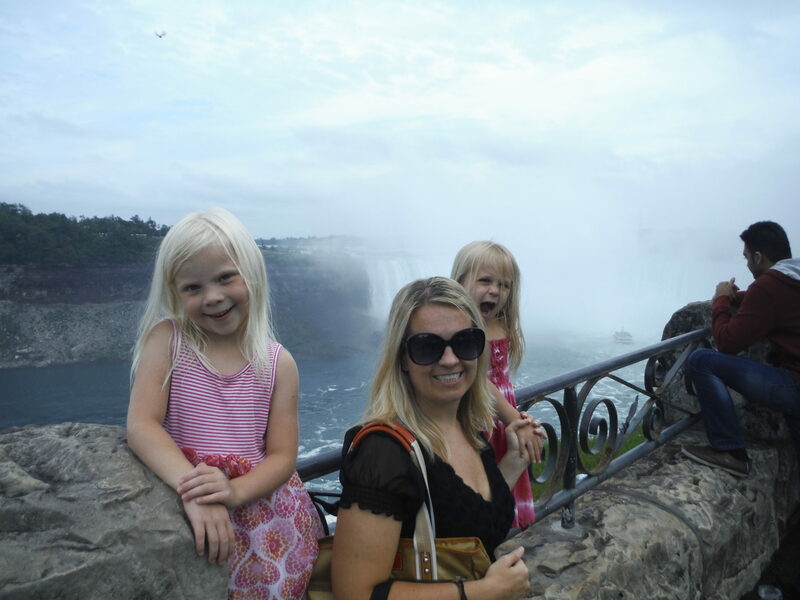 I’ve been to Niagara Falls twice as a kid, it something I want to take my family too. Need to revisit the maid of the mist boat trip one more time! Looks like a great trip! That looked really scary to me!!! Sounds like a fun trip overall Holly – especially with the upgrade. 🙂 I’ve never been to Niagara Falls before, though would love to see it. We’ve got quite a few trips planned this summer and thankfully most of them are on points – we’re off to NYC next week ( a client is covering that one) then we’re off to Chicago the week after the 4th. We have a few other trips planned as well – it’s going to be a busy summer & fall! Also I would like to point out you live minutes from Morse and Geist (while not the biggest bodies of water they are there). There is also Eagle Creek in town. If you want to drive it isn’t that far to Monroe and Raccoon lakes. 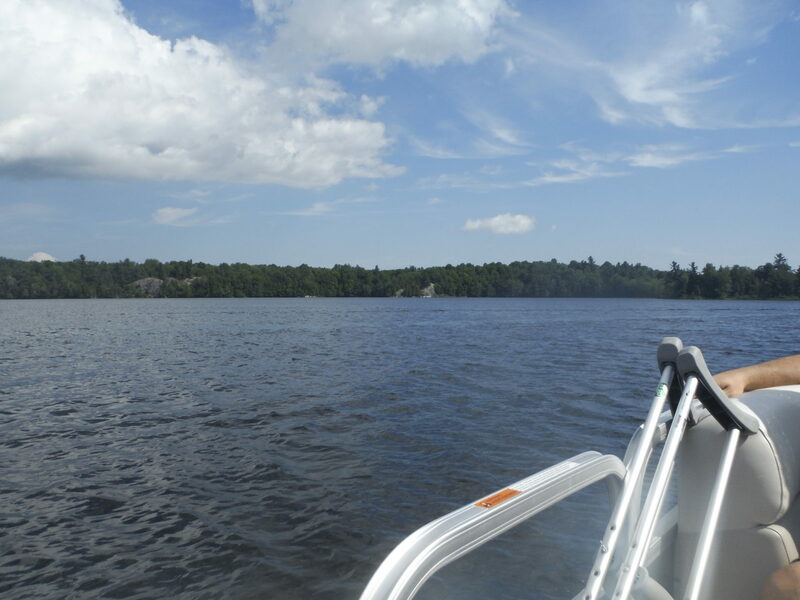 Again, while all those may not be the largest lakes out there, they are nice for a good day of boating (my grandpa had a boat when I was growing up so I spent many a weekend on one of those lakes). Yes, I know I live near those lakes. It’s not the same thing as rural Minnesota, South Dakota, and Canada! What a fun trip!! Love that you guys travel so much – so fun for you guys and also such a great experience for your kids!! I have never been to Niagara Falls, but now that we live on the East coast I would love to see it (though it might be quite a far drive from NC). Jealous you’re going to Vegas!!! That’s definitely one of the (only) things I miss about AZ – 4 1/2 hour drive to Vegas! We went to AZ last month and have no other trips planned for the summer, but I’m sure we’ll go to the beach for a weekend and possibly the mountains. Hope you guys enjoy your vacations next month!! Never been to there. It looks like you had fun though. Fishing, l would like to try..Welcome back! That’s an awesome hotel water slide! Glad you guys had a ton of fun. Excited to hear about your upcoming trips. Laguna Beach is my absolute favorite beach in Cali. Looks like fun, and that hotel pool is awesome! I miss having friends with a boat on a lake. Even though I have the ocean, I much prefer swimming in a lake. I went to Niagara Falls as a kid on a road trip with my parents. I don’t remember being enthralled. I much prefer Cedar Point! I am so impressed how frugal that trip was. I have never been on a trip so cheap so this is very motivational. From the pictures it looks like you all had a really great time. Thanks for sharing. Wow, that is some seriously low spending! Hotel perks are the best. Can’t wait to read about your future trip reports! Sounds like a fun and affordable trip! I have been to Niagara Falls since I was a kid but I would love to go again. I LOVE your pictures from this trip and can’t believe the luck you had in getting upgraded at the Hilton! You gotta love the perks of membership! I live in NY and I have never been to Niagara Falls. It’s a sad commentary on my life and something I would like to change. Hopefully one day soon. Wow I bet the kids had a blast. I have a few cheap weekend trips in the Northeast planned this summer. It’s nice to get out of the city on the weekends to enjoy the summer. Sounds like a great mini-break. You really did a good job getting all that in on such a small budget. I love your idea of going to a hotel that has an incredible pool area. 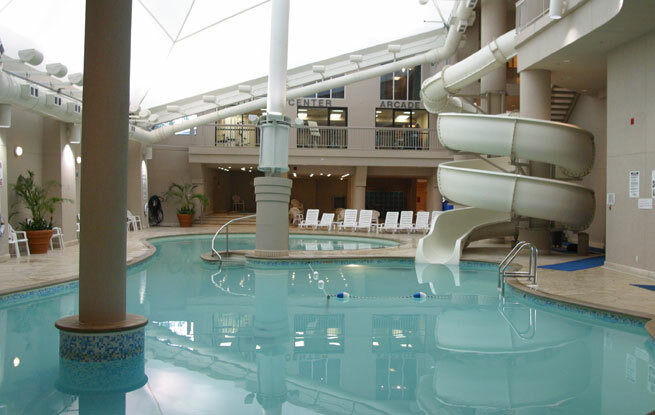 Like you say, it’s like going to a water park without the extra cost…plus, you have the convenience of not needing to leave the hotel. This is something we’ll consider in future for sure (when our daughter is older). I went on a French Club trip to Montreal in high school and the teacher made the bus driver go through Niagra Falls so us bumpkins from Kentucky could see it. It was 2AM and we stayed for about 20 minutes, so I’d love to go back. 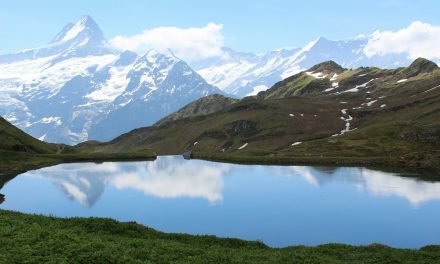 We are planning huge cross country trip for next summer starting in Glacier NP and plan to go to Niagra and then on to New England. I’m already looking forward to it! Looks like a great trip! I saw some of those photos on Facebook and it just looked like an awesome place to visit. I THOUGHT our trip to Vegas would be cheap, but I think I basically failed at travel-hacking the trip. I’ll have to tell you about it. Actually it may be worthy of a blog post haha. Too bad you didn’t make it to Toronto. 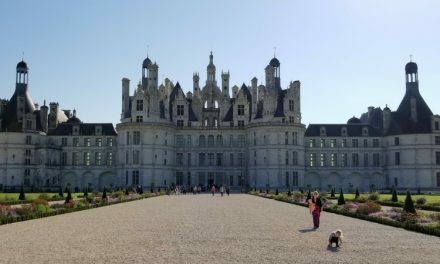 There’s a ton of personal finance bloggers here (including myself) that I’m sure would be happy to show your family around. Sweet deal! I just took a pricey trip to DR, but I’d like to intersperse some more frugal trips throughout the summer. I’m thinking New England road/camping trip. I went to Niagara Falls about 3 years ago. It was such a great experience. I enjoyed it a lot and hope you and your family are enjoying it as well. The one thing I miss out on from never having a credit card (ever) is traveling on the cheap. It’s such a great benefit for so many, it just wouldn’t work for me. It looks like you have mastered it and that’s awesome. I’m a little jealous – not going to lie 🙂 . You were getting pretty close to my stomping grounds on your trip. I’m glad your girls liked camping – but let me tell you, that camper does not count as camping! A tent and a sleeping bag are the real deal. I’m pretty sure the exchange rate is working pretty well for Americans visiting Canada these days. Unfortunately for us, it doesn’t work so well the other way around. AH, you were out my neck of the woods. Niagara was one of the first places I went when I moved to Canada and it certainly lived up to all the hype I read about it. We didn’t spend that much as we went off-season, well in the winter. The other time we went it was summer time and we did Niagara on the Lake which reminds me of the UK in some ways. A beauty of a place. Glad you enjoyed yourselves and what a frugal trip that was! I think you did a great thing with keeping it on the non-expensive side and the entire trip must have been amazing. 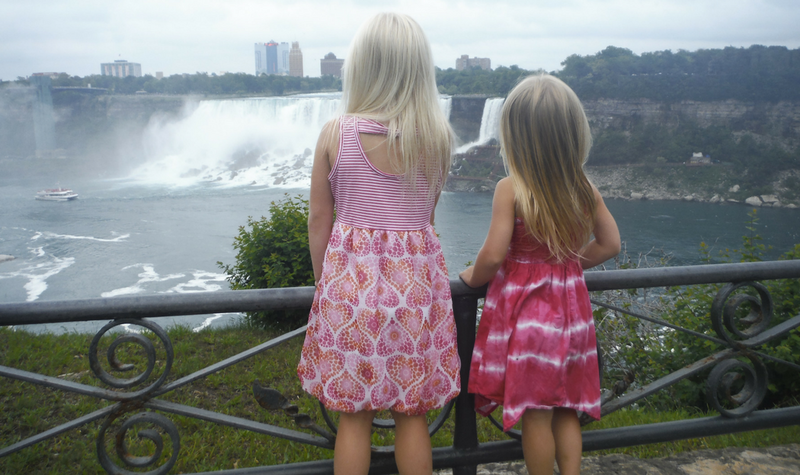 We were close to visiting Niagara few years ago, but we didn’t get the plane tickets we were planning for. Glad you guys had a good time in my home province. You skipped the casino, which could have added a lot more to the cost of the trip! I love how you budgeted that 5 trip to be just $400, what an awesome deal! Niagara Falls is a a fun place to be. 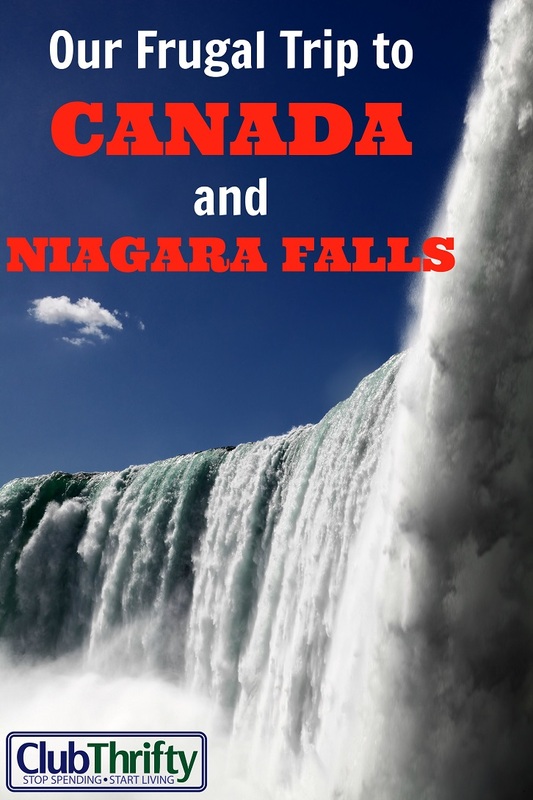 You should have tried the Maid of the Mist ride, but i see that you enjoy the falls from afar lol 🙂 Looking forward to reading about your Las Vegas trip as we\’ve never been there.